This is the aarti sung in my maternal side , by my mother for festivals like Varalakshmi Vratham , Navratri and on all Fridays after the Pooja. I have shared an aarti sung in Telugu by my mother-in-law in a different post. After all Mahakavi Bharathiyar said _ "Go in all eight directions and bring the best in art and culture back home "
So we sing these two songs in Kannada and Telugu in our homes. They are really very simple and beautiful. When we sing with bhakthi and bhava we can realise the greatness of these songs. 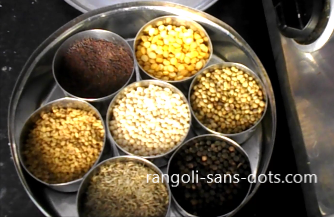 The video is from my YouTube Channel "Sudha Balaji - Rangolisansdots " and shows how to make a different type of aarthi plate. 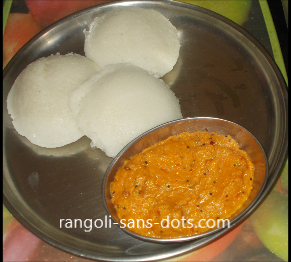 This aarthi plate my mother learnt from my grand mother ! 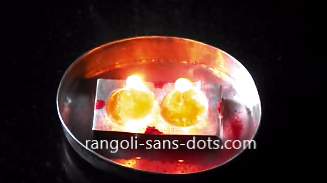 What a simple and beautiful way of offering aarti to Goddess Lakshmi. It was so beautiful when our entire family led by our mother sang this song during Varalakshmi Vratha Pooja. The dazzle of the nose stud reference , reminds of Goddess Kanyakumari , the temple situated in the southern most part of India. There are many stanzas to this harathi. The first one ( pallavi ) is repeated after every stanza . 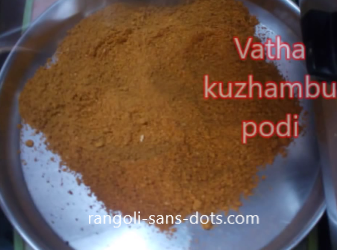 I have added two stanzas that can be recited on Fridays , Mangala Gowri Pooja and Varamahalakshmi Pooja. 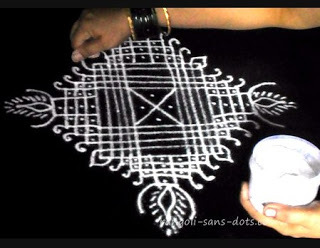 Clean the plate , draw the rangoli design on the plate ,(it can be free hand design or auspicious rangoli like Aishwarya patra rangoli or Hridaya kamala rangoli ) using cotton bud dipped in honey. 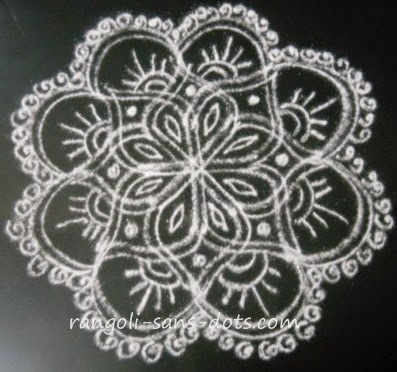 This video , again from my channel on YouTube shows how to draw three of the most auspicious rangoli designs for Puja room as also on the arathi plate. 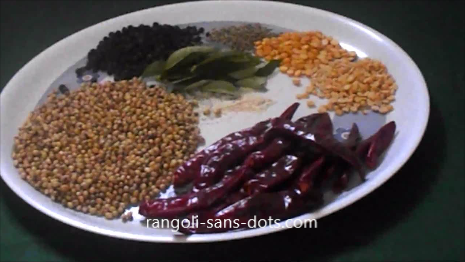 Sprinkle semolina on the design , it sticks to the honey , remove the excess by tapping the plate gently. If we give too much force the portions of the stuck rava will also come out. 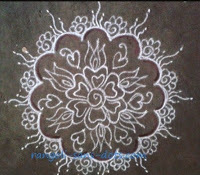 We can stop with the rava or we can add some rangoli colours. 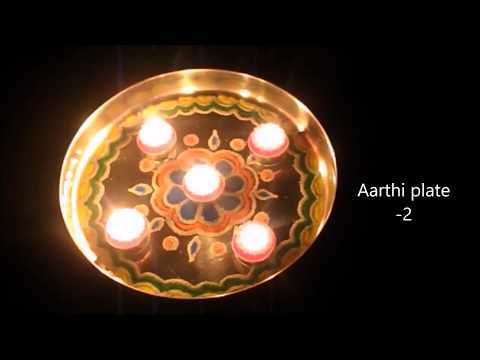 Light diyas on the plate and perform aarthi.